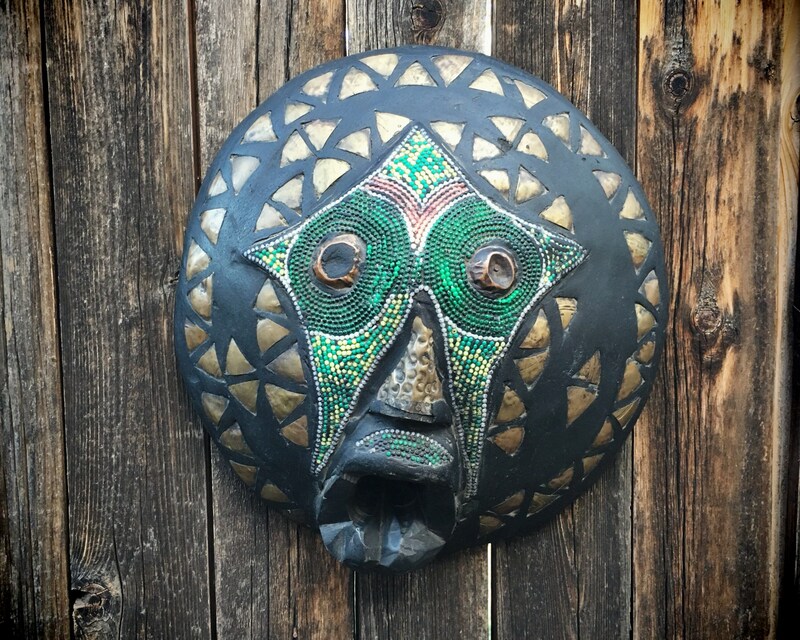 This vintage mask is called an Ashanti mask and comes from the Akan peoples of Ghana. 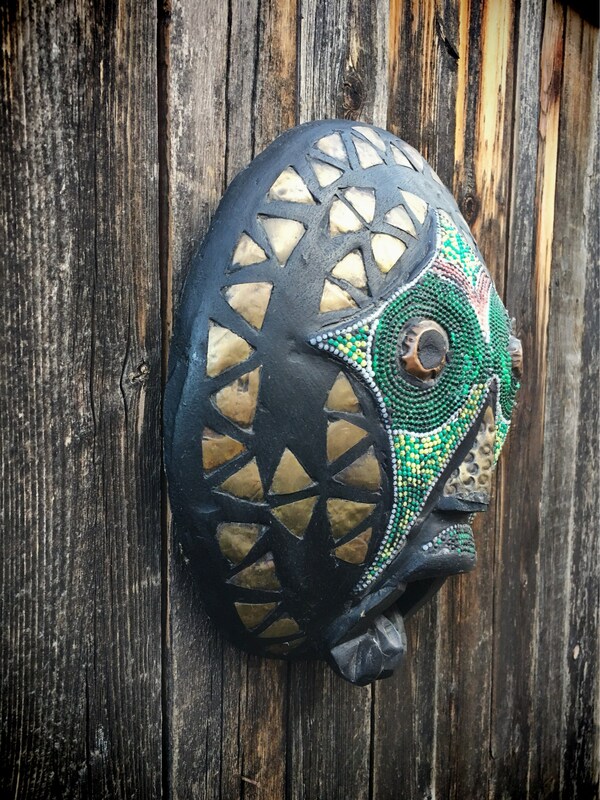 This is made to hang on the wall, but traditionally these masks are ceremonial and represent the connection to the spiritual realm and to ancestors. 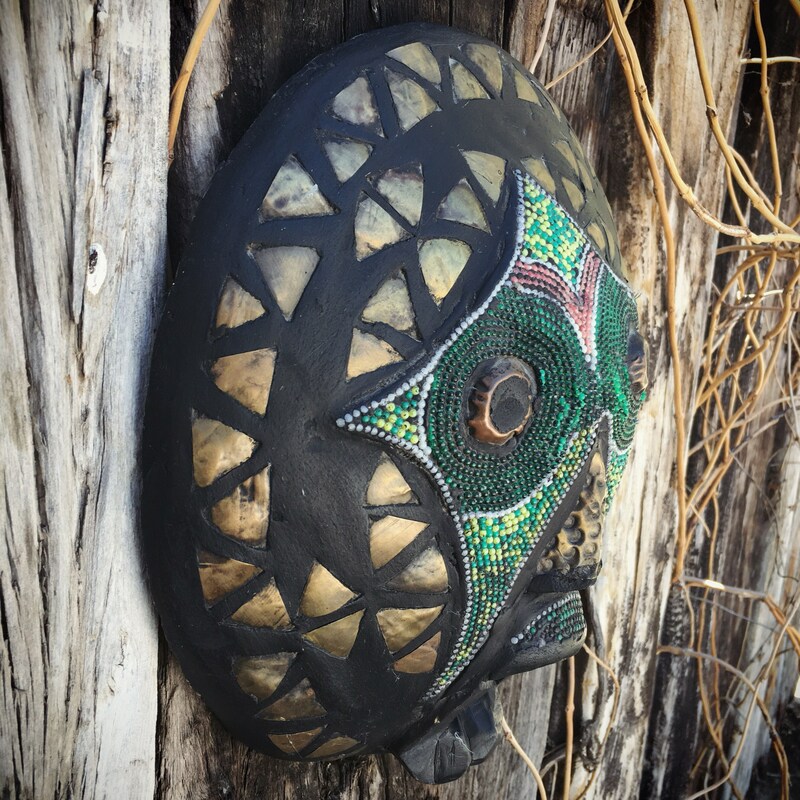 This mask is carved of wood then inlaid with brass colored metal and small beads, which I believe are plastic, not glass. 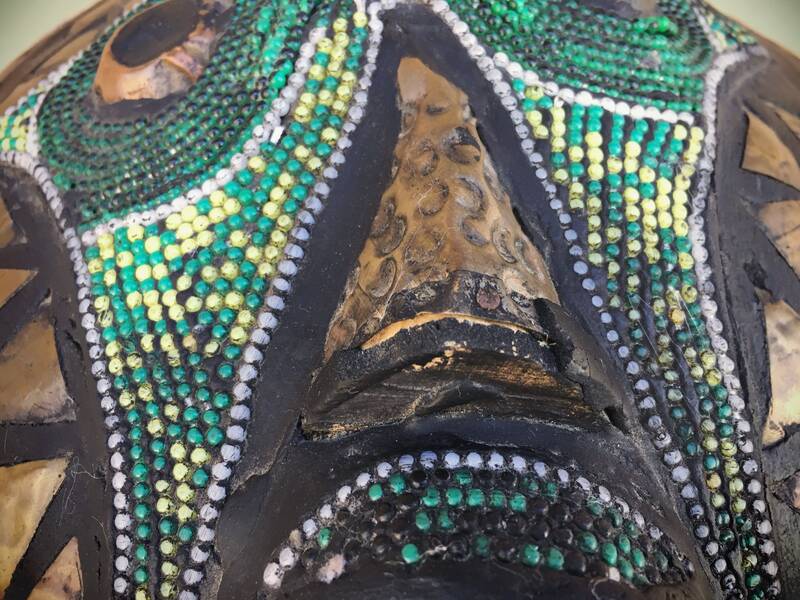 There is some wear on the mask, including areas along edges where the wood has chipped away. 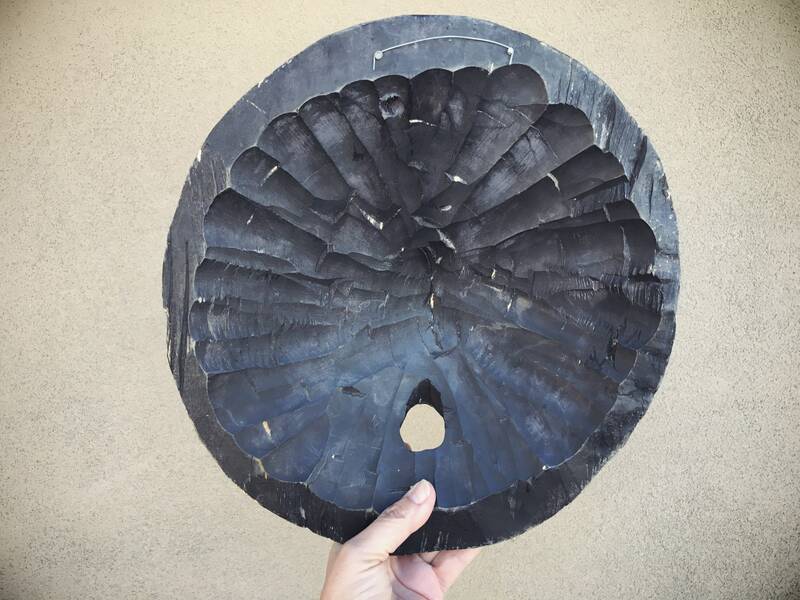 Nonetheless, it has great presence and would be gorgeous on a gallery wall with baskets, tall plants around it. What a fabulous piece for a bold bohemian home! 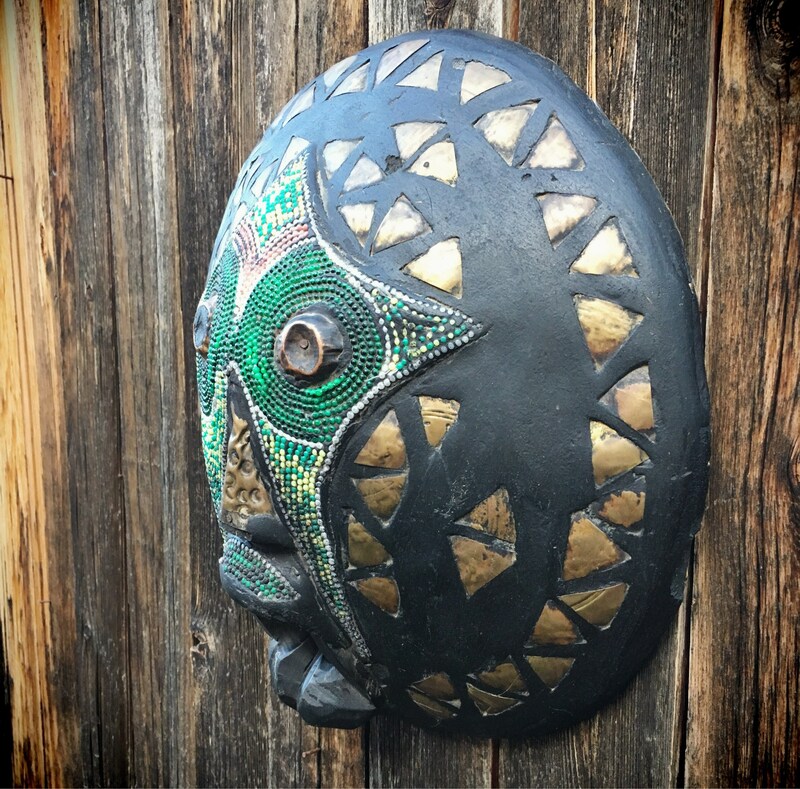 This mask measures just under 12" wide by 12-1/2" tall and extends out about 3-5/8". A few of the beads have fallen out, and many have been discolored by the black waxy substance that is used as part of the inlay process. I would refrain from trying to clean or polish away that substance as it could cause more beads to fall out. Otherwise in good vintage condition.